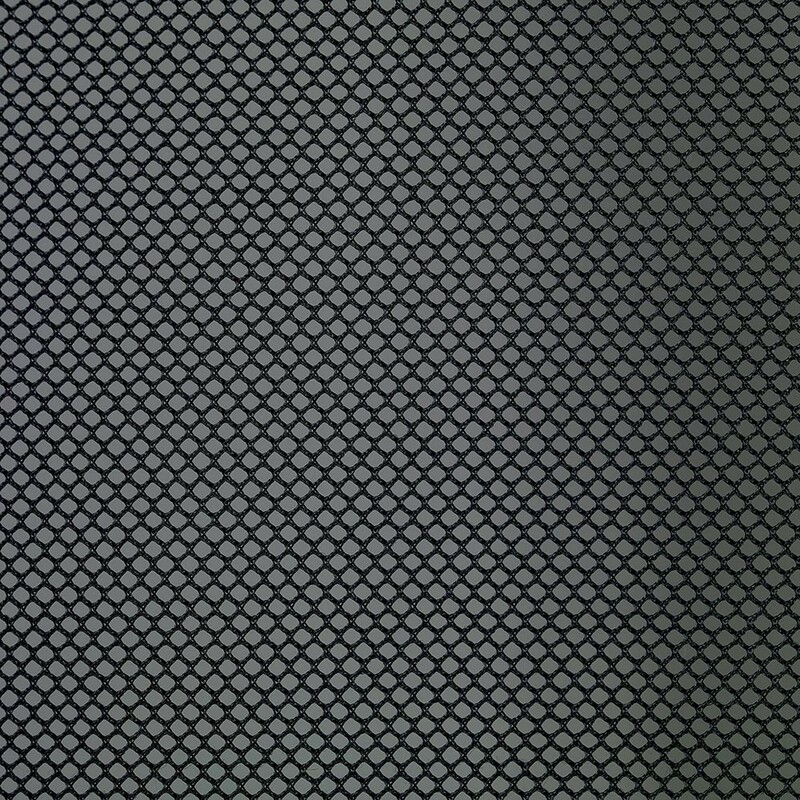 16ft Replacement net for giant trampolines of 4.90 m in diameter. 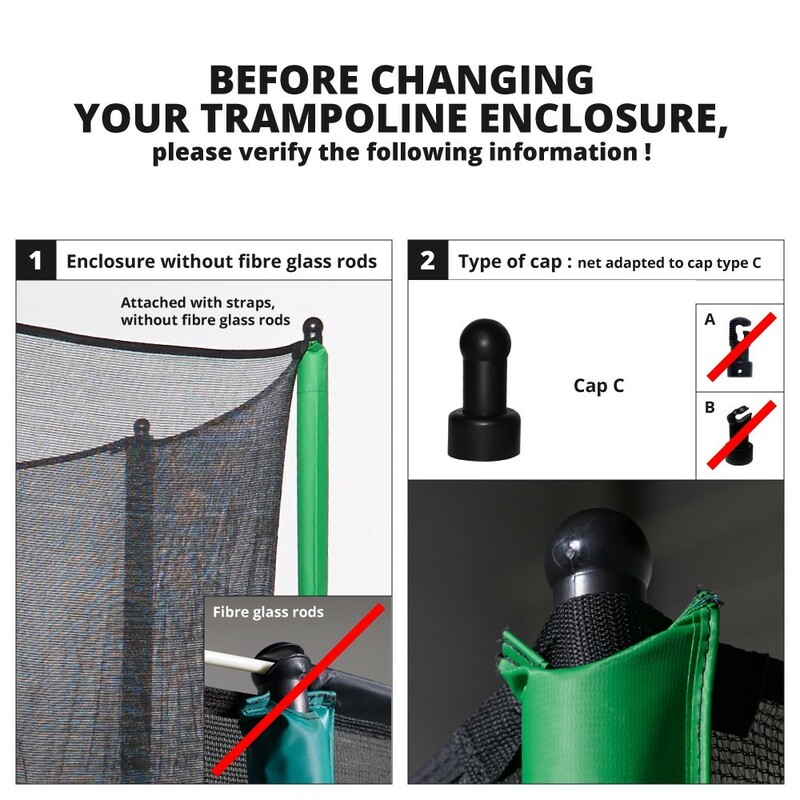 The enclosure is one of the components that ensures safety on a trampoline. It protects users if they fall. It is also one of the components that gets damaged over time. If your enclosure is damaged, do not hesitate to change it to ensure user safety. If your steel posts are still in good condition, there is no need to replace them. 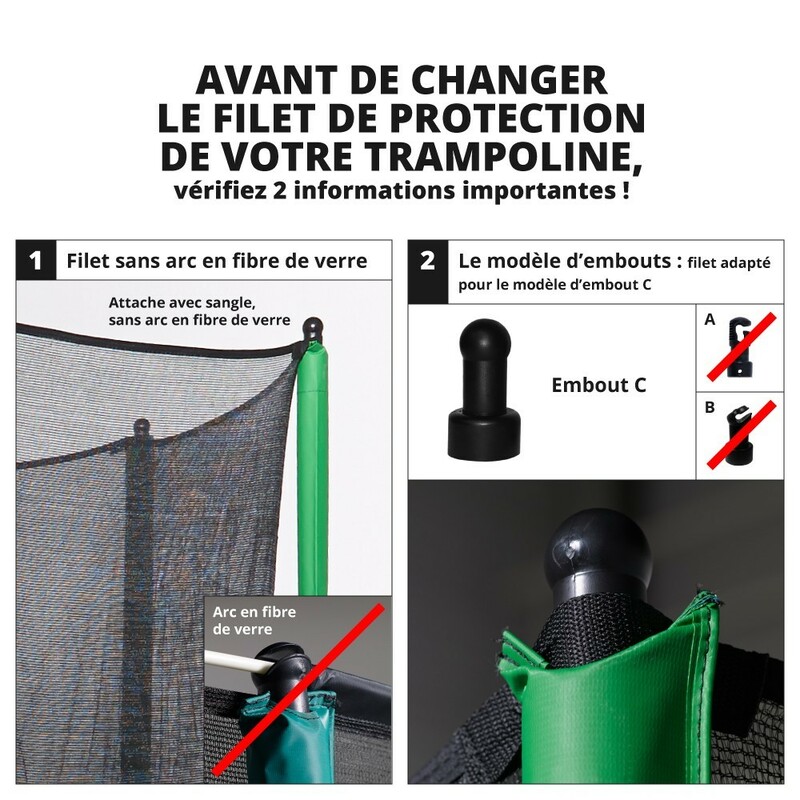 - This net is the same as the one on the round Booster 490 trampoline bought before March 2012, but can also be adapted to all round trampolines of 4.88 m in diameter with an enclosure using 10 net posts. - We ensure a high level of safety thanks to this fine polyester netting. This netting makes this enclosure soft to touch and also very resistant, therefore breaking falls of children and adults alike. 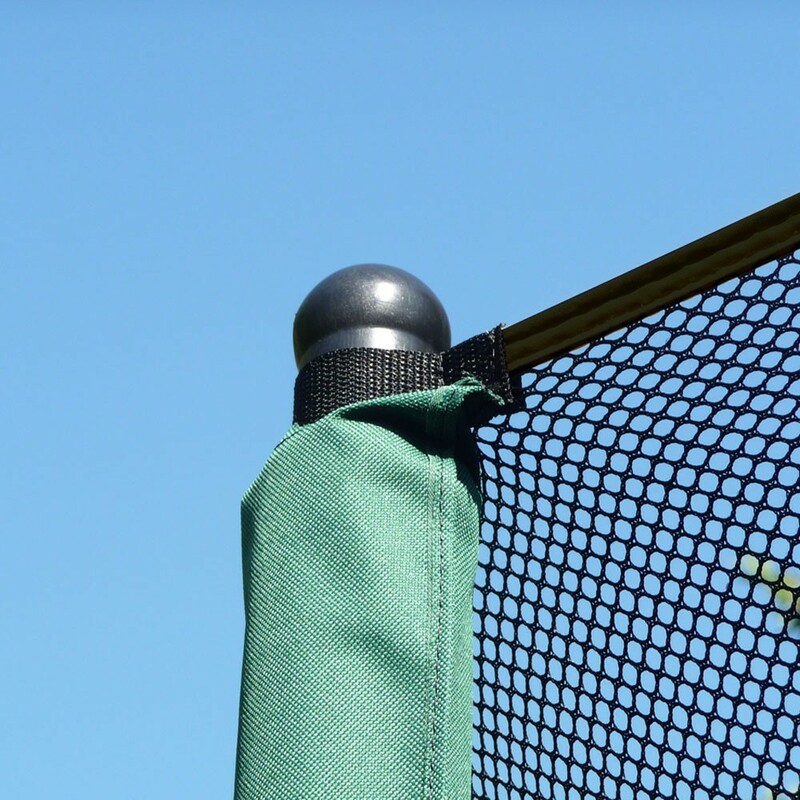 The very fine netting is also very practical as small children's fingers cannot go through it, preventing the risk of injury. The UV treatment protects it from the sun and improves its durability. - The net is black and it is opened using a zipped door. 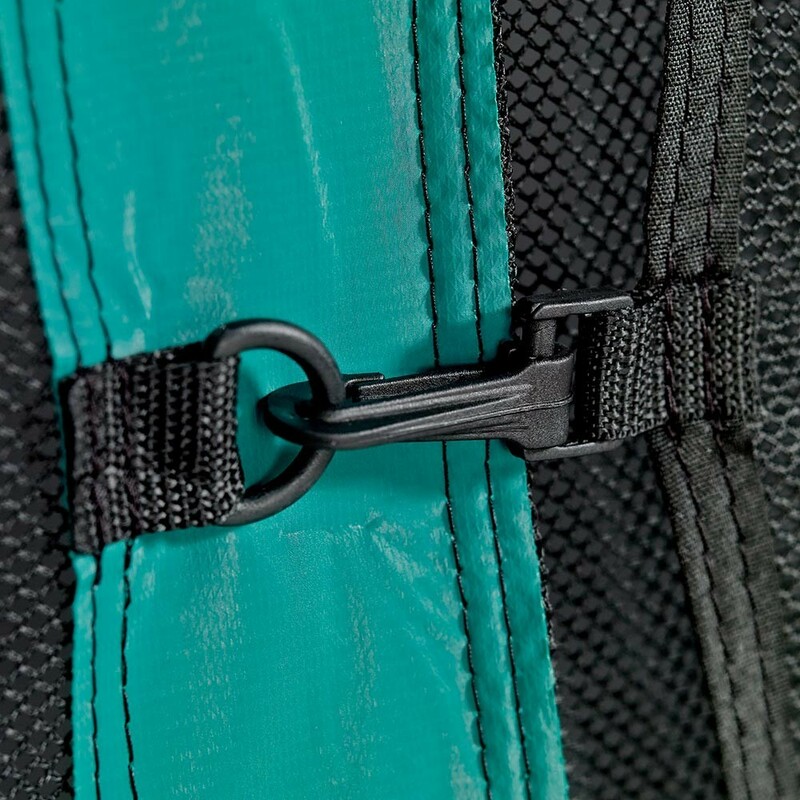 This zip is sewn on with stitching of a different colour to be able to rapidly make sure that the net is correctly closed. Please note that this door can also be closed from the inside. 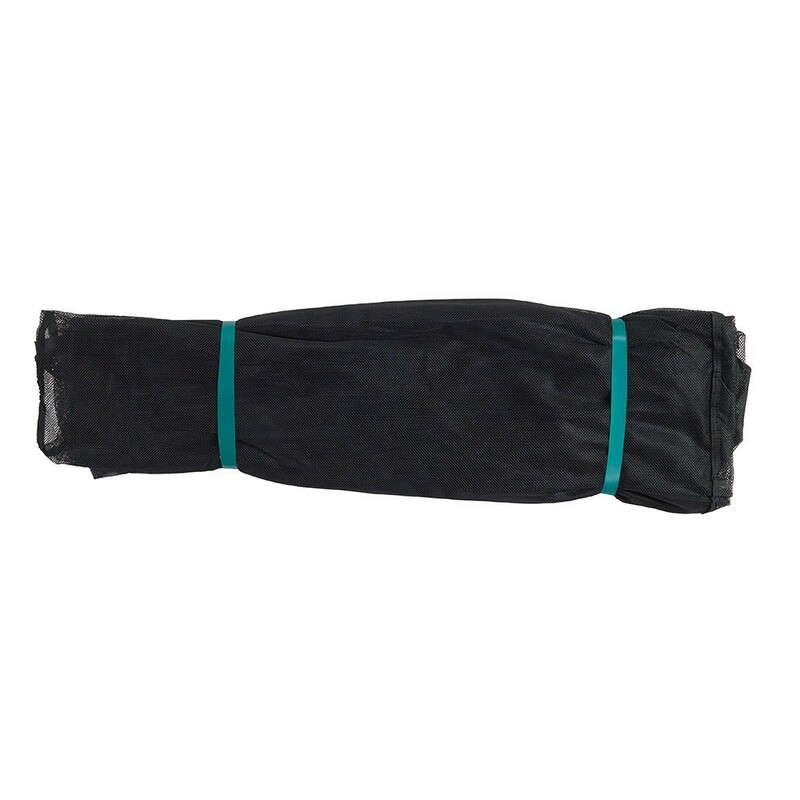 - The net is fixed using sewn-on straps which can be found in front of each of the 10 net posts on your structure. 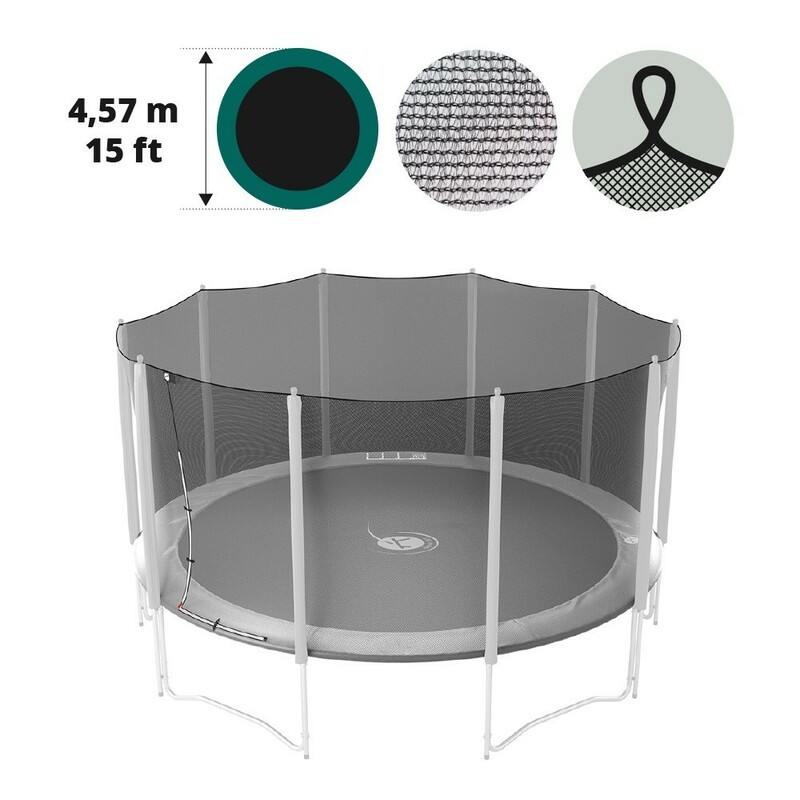 Your family sized trampoline of 4.88 m in diameter should have net posts using plastic caps, on which you can fix a strap. 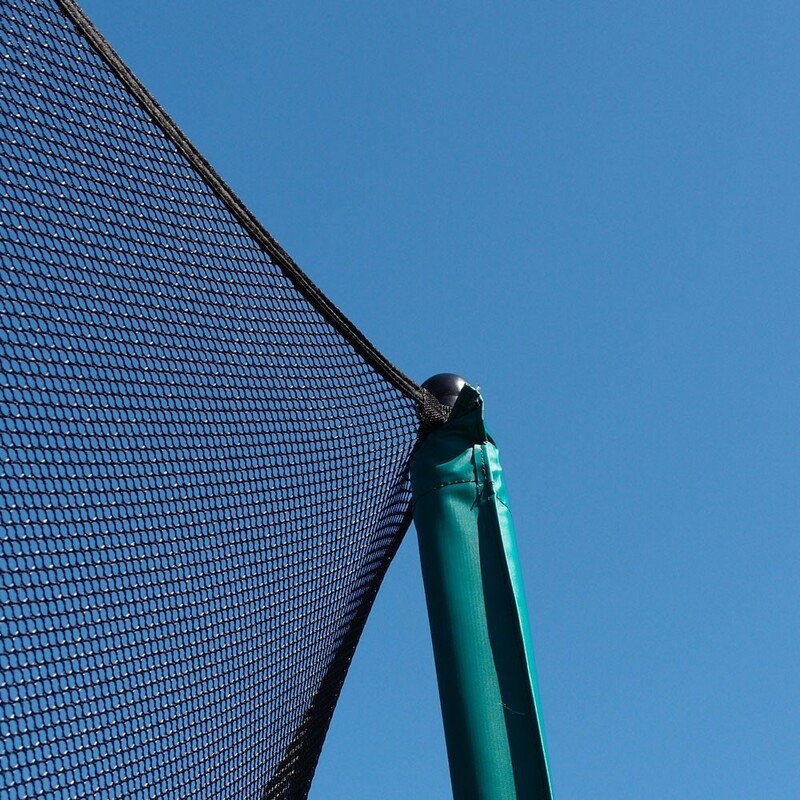 At the bottom of the enclosure there are several elastic straps with hooks, which go around the steel framework of your trampoline and are fixed to the springs. These straps will allow you to adjust the tension of your enclosure. se déchire assez vite au niveau de la fermeture. Positionnement facile sur les piliers mais plus difficile à enlever pour l'hiver. Bonne qualité pour le moment mais très tendu entre les poteaux car j'ai du beaucoup forcer pour l'installer.